In yesterday’s article we highlighted that ASIC has put on record that a soft deadline of 1 March 2016 is in place. This new soft deadline is to avoid the last minute stampede. Effectively, this gives accountants six months to complete their training and settle on a solution to continue to do what they have always done when giving advice on the setting up and winding up of SMSF’s. Scheduling in RG146 training (tip: ensure your facilitator comes to you, your assessments are completed during the course and it runs for 2 days). Finance wise global securities recommends accountants become authorised under their license. 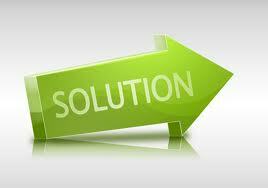 We have a solution that is simple, clear and cost effective. Contact us at info@fwgs.net.au or register your interest on our website. We have face-to-face RG146 training scheduled in Adelaide, Sydney and Perth.